Additional Information: Technically a collectors’ issue. 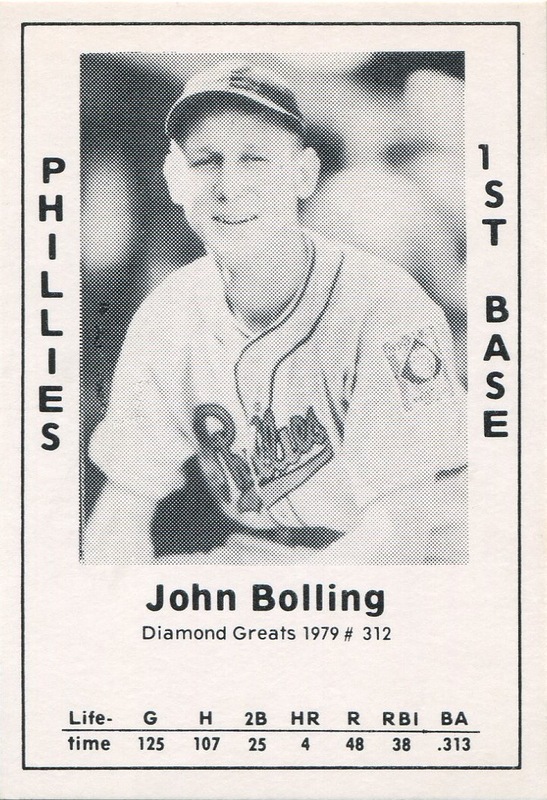 However, set is listed in both Beckett’s Online Guide and SCD’s 2011 Standard Catalog of Baseball Cards. The black-and-white cards are blank-backed, and the photo quality and printing quality for the the set are both poor. 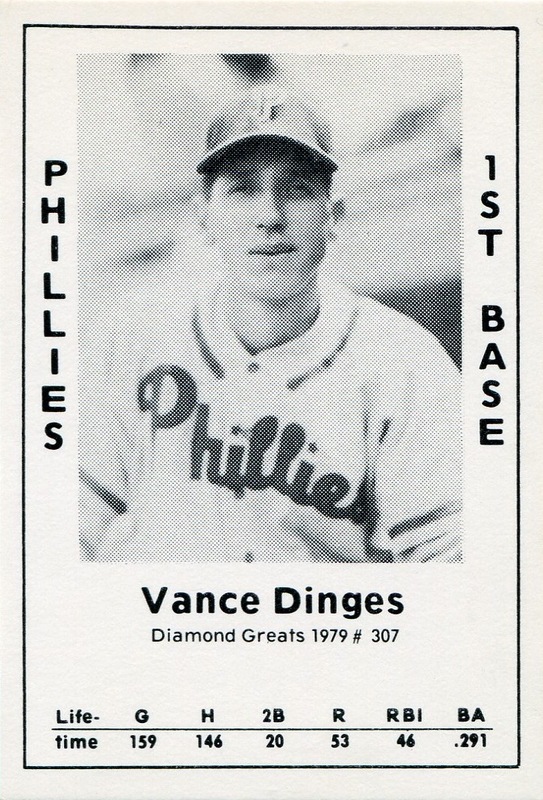 However, it contains the only standard-sized Phillies cards for a number of players, as well as Jack Bolling’s, Gene Corbett’s and Vance Dinges’s only Phillies cards.